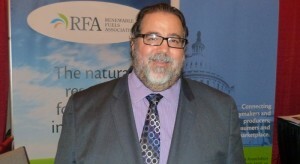 President Trump held another White House meeting regarding the Renewable Fuels Standard with Senators Ted Cruz (R-TX) and Pat Toomey (R-PA) representing the oil industry, and Iowa Republican Senators Chuck Grassley and Joni Ernst representing the biofuels industry. EPA Administrator Scott Pruitt and Ag Secretary Sonny Perdue were also in attendance. Now the job lies with Secretary Perdue and Administrator Pruitt to work out the details. Regulatory issues had been the holdup with EPA Administrator Scott Pruitt telling reporters that they have been involved in the legal analysis of allowing E15 sales year-round for months. Renewable Fuels Association President and CEO Bob Dinneen says Pruitt does have the legal authority, and he hasn’t been willing to use it. More work needs to be done, and it needs to be done by Administrator Pruitt, which leaves many in the industry skeptical. More to come on this story as it continues to develop.